Sherwin-Williams is seeking Corporate Counsel (Intellectual Property, Patent Chemical). This attorney will provide expert advice and counsel on technology agreement negotiation and drafting, patents, trade secrets and related intellectual property issues to multiple research and development groups, and assistance with intellectual property issues in connection with private and government contracts and global markets. This position will report to the Associate General Counsel for Intellectual Property and will be based out of Cleveland, OH. The technology agreement, patent and trade secret-focused intellectual property attorney will provide legal advice and services to research and development and product innovation teams, and provide counsel on contracts for private and government-sponsored research, and external technologies. The position requires substantial knowledge of negotiation and drafting of technology agreements in industrial and consumer businesses, detailed knowledge of coatings and polymer chemistry, substantial experience in chemical patent law and advanced chemical and material technologies, and the proven ability to efficiently communicate and work with Ph.D. level chemists and chemical engineers. Effectively handles assigned legal activities for business units, functions or legal practice areas. Supports projects and teams - Supports or leads projects and teams providing legal support and solutions to the company's business units or corporate departments. Provides advice - Provides focused and practical legal advice respecting business operations as well as the impact of current or anticipated laws, rules and regulations. Substantiates positions - Researches, develops and coordinates implementation of legal solutions. Mitigates risk - Identifies and analyzes existing and emerging legal risks. Develops and implements business-focused strategies to manage risks. Compliance - Assists the development and implementation of policies, procedures and control mechanisms to promote compliance with applicable laws, rules and regulations. Proactive guidance - Stays abreast of new regulations and emerging legal risks; provides proactive advice and counsel to business units and corporate functions that may be impacted. Demonstrates the development of core legal expertise and support for legal affairs of business units or enterprise-wide functions. Develops understanding of the operational model by which the supported business unit or enterprise-wide function operates. Supports clients on a cost-effective basis. Manages outside counsel in an efficient and cost effective manner, as necessary. To apply, please visit this website: https://jobsearch.sherwin.com/en/job-description?jobNumber=18000454. 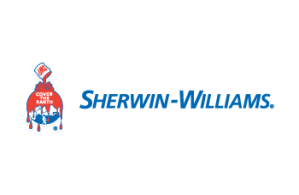 Founded in 1866, The Sherwin-Williams Company is a global leader in the manufacture, development, distribution, and sale of paints, coatings and related products to professional, industrial, commercial, and retail customers. The company manufactures products under well-known brands such as Sherwin-Williams®, Valspar®, HGTV HOME® by Sherwin-Williams, Dutch Boy®, Krylon®, Minwax®, Thompson’s® Water Seal®, Cabot® and many more. Sherwin-Williams® branded products are sold exclusively through a chain of more than 4,100 company-operated stores and facilities, while the company’s other brands are sold through leading mass merchandisers, home centers, independent paint dealers, hardware stores, automotive retailers, and industrial distributors. The company supplies a broad range of highly-engineered industrial and OEM coatings for wood and general industrial, coil, packaging, protective and marine, and transportation applications worldwide. Our 60,000 employees are diverse, innovative and passionate. With a variety of rewarding and challenging opportunities, Sherwin-Williams is a great place to find a career that takes you places.